Despite being factually defeated in the ballots, the Swiss initiative for basic income should be regarded as a giant step in the now unstoppable march towards basic income, says BIEN Founder Philippe Van Parijs. The Confederation introduces an unconditional basic income. 2. The basic income must enable the whole population to live a dignified life and to participate in public life. 3. The law will determine the funding and level of the basic income. To answer these questions, a brief historical overview is in order. In 2008, the German film maker Enno Schmidt and the Swiss entrepreneur Daniel Häni, both based in Basel, produced Grundeinkommen: ein Kulturimpuls, a “film essay” that gave a simple and attractive picture of basic income. The dissemination of this film through the internet helped prepare the ground for a popular initiative in favor of the proposal quoted above, which was launched in April 2012. Another popular initiative, which proposed an unconditional basic income funded specifically by a tax on non-renewable energy, had been launched in May 2010, but it failed to gather the required number of signatures. The initiators of the 2012 initiative first thought of specifying that the basic income should be funded by the Value Added Tax, as was suggested in the film, but they dropped the idea for fear of reducing support for the proposal. They also chose not to stipulate a precise amount of the basic income in the text itself. But their website did mention a monthly amount of 2500 Swiss Francs per adult and 625 Swiss Francs per child as the best interpretation of what was required, in Switzerland, “to live a dignified life and to participate in public life”. If an initiative gathers over 100.000 validated signatures in 18 months, the Federal Council, Switzerland’s national government, has the obligation to organize a country-wide referendum within three years either on the exact text of the initiative or on a counter-proposal to be negotiated with the initiators. On the 4th of October 2013, the initiators handed in spectacularly 126.406 valid signatures to the federal chancellery. On the 27th of August 2014, after validation of the signatures and examination of the arguments, the Federal Council rejected the initiative without making a counter-proposal. In its view, “an unconditional basic income would have negative consequences on the economy, the social security system and the cohesion of Swiss society. In particular, the funding of such an income would imply a considerable increase of the fiscal burden”. The proposal was subsequently submitted to both Chambers of the Swiss Parliament. On the 29th of May 2015, the Commission of Social Affairs of the National Council (Switzerland’s federal house of representatives) recommended by 19 votes against 1, with 5 abstentions, that the proposal for an unconditional basic income should be rejected. After a thorough discussion at a plenary session on the 23rd of September 2015, the National Council proceeded to a preliminary vote and endorsed this negative recommendation by 146 votes against 14 and 12 abstentions. On the 18th of December 2015, the Council of States (the Swiss Senate, made up of representatives of the cantons) considered the initiative in turn and rejected it by 40 votes against, 1 in favor and 3 abstentions. On the same day, the proposal was the object of a second and final vote in the National Council: 157 voted against, 19 in favor and 16 abstained. In all cases, all the representatives from the far right, center right and center parties voted against the proposal. All pro votes and abstentions came from the socialist party and the green party, both of which were sharply divided. At the final vote in the National Council, 15 socialists voted in favor, 13 against and 13 abstained, while 4 greens voted in favor, 5 against and 3 abstained. The degree of support thus oscillated between 0% in the Federal Council, 2% in the Council of States and 4, 8 and 10% in the National Council (commission, preliminary and final vote). For the popular vote on the 5th of June 2016, the national leaderships of nearly all parties, including the socialist party, recommended a “no” vote. The only exceptions were the green party and the (politically insignificant) pirate party, which recommended the “yes”, joined by a number of cantonal sections of the socialist party from all three linguistic areas. Against this background, it was entirely predictable that the no vote would win. The actual results of nearly one vote out of four for “yes” — with peaks at 35% in the canton of Geneva, 36% in the canton of Basel-Stadt, 40% in the city of Bern and 54% in the central districts of Zürich — is far above what the voting record in the Swiss parliament would have led one to expect. We must, moreover, bear in mind that Switzerland is perhaps the country in Europe in which support for an unconditional income should be considered least likely, not only because of the deeper penetration, in Calvin’s homeland, of a Calvinist work ethic, but above all because of the comparatively low levels of unemployment and poverty it currently experiences. Everyone now realizes, however, that even if the initiative had not managed to gather the votes of more than the 2.5% of the Swiss citizens who had given their signatures at the initial stage, it would have been, thanks to the initiators’ stamina and their impressive communication skills, a stunning success. There is now no population in the world or in history that has given more thought to the advantages and disadvantages of the proposal than the Swiss have done over the last four years. And the effect was by no means confined to Switzerland. Just in the few days preceding the popular vote, the Economist, the Wall Street Journal, the Financial Times, the New York Times, the Guardian, and countless other newspapers around the world felt forced to publish substantive articles in order to explain at length — sometimes quite well, sometimes not so well — what a basic income is and what it is about. There is certainly no week in the history of the world in which the media have allocated so much time and space to a discussion of basic income. Apart from giving a big boost to the spreading of the idea, the Swiss initiative has also greatly contributed to the maturing of the debate about it. For one lesson to be drawn from the experience is that a proposal that stipulates a high amount for a basic income, but no precise way of funding it, can easily gather the required number of signatures for a vote – while still being a long way from convincing a majority among the voters who bother to turn up on voting day (about 46% of the electorate in this case). A shining star that indicates the direction is enough for the former, but visible signposts on the ground marking a safe path in its direction are essential to achieve the latter. Whenever I was invited to join the Swiss debate, I argued that introducing in one go an individual basic income of CHF 2500 (38% of Switzerland’s GDP per capita) would be politically irresponsible. True, no one can prove that such a level of unconditional basic income is not economically sustainable. But nor can anyone prove that it is. Nor will any local experiment performed or planned in Switzerland or elsewhere prove that it is. Moreover, it is not unreasonable to suppose that the economic sustainability of an unconditional basic income at that level will require a number of preconditions currently unmet, including the introduction of new forms of taxation — for example the micro-tax on electronic payments that played an interesting role in the Swiss debate — and effective international cooperation against tax evasion — not exactly Switzerland’s strongest point. In the immediate future, however, it should now be clear that more modest but significant steps forward can and must be worked out and debated. They must involve an individual unconditional basic income at a lower level (say, 15 or 20% of GDP per capita) that would still need to be topped up by means-tested social assistance benefits or housing grants, certainly for urban single-adult households. It is not because in many cases the unconditional basic income would not suffice, on its own, to “enable the whole population to live a dignified life”, that it would not make a big difference to the security, bargaining power ad freedom of choice of many of the most vulnerable among us. Even in the short run, introducing such an unconditional basic income is definitely sustainable economically. It is up to us to make it politically achievable. The totally unprecedented Swiss initiative has not only made many people, in Switzerland and far beyond, far more aware of the nature and size of the challenges we face in the twenty first century and of how a basic income might help us address them; by triggering countless objections, some naive and some spot on, it has also helped the advocates of basic income to sharpen their arguments and to better see the need for realistic next steps. 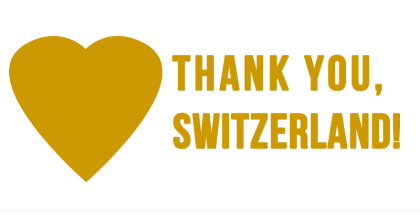 For both of these reasons, the Swiss citizens who devoted a tremendous amount of time, energy and imagination to the “yes” campaign deserve the warm gratitude not only of the basic income movement worldwide, but of all those fighting for a free society and a sane economy. Many thanks to Nenad Stojanovic (Zurich and Princeton) for reliable information and insightful comments. Philippe van Parijs has written 2 articles. Philippe Van Parijs is Professor at UCLouvain, Hoover Chair of Economic and Social Ethics. Chair of BIEN’s International Board. A very good Analysis by Phillipe Van Parijs. Unfortunately this initiative began and ended as a cultural exercise rather than a serious attempt to initiate a fundamental political-economic Reform: (1) There was no attempt to understand the “no” arguments by the opponents (2) As a result no serious attempt to counter them (4) almost 2 years wasted in not continuing to educate the voters on the Need for economic Reform (5) no attempt to obtain the funds to do so (6) consequently no real belief that we could succeed! Hopefully the lessons learned will enable other countries to successfully introduce a Basic income, perhaps by starting to make it conditional and to limît it to citizens of the Country. As a keen supporter of a guaranteed annual income in Canada, I appreciate this article explaining the situation in Switzerland. It is obvious that the question of how to finance a GAI is the crucial question. In Canada, the Fraser Institute, a conservative think tank, published a study in January ’15, The Practical Challenges of Creating a Guaranteed Annual Income in Canada. The authors felt that the problems trying to institute such a program with the different government levels in Canada would make the task prohibitive. I do not agree, but I am pleased with the results of their study – and recommend you read it! If an initiative gathers over 100.000 validated signatures in 18 months, the Federal Council, Switzerland’s national government, has the obligation to organize a country-wide referendum within three years either on the exact text of the initiative or on a counter-proposal to be negotiated with the initiators. An initiative and a referendum is not the same. The 100’000 validated signatures are correct for an initiative, but not for a Referendum. You haven’t explained the difference between an initiative and referendum. I’ve been speaking English a long time, and I don’t understand any difference. Well, the debate is a bit pedantic. Philippe uses, rightly in my view, referendum in it’s common sense of popular ballot on a question (as opposed to elections). Susi points to the difference in Switzerland (irrelevant in this case) between two ways to call for a ballot: the “initiative”, which is an original proposal for discussion by Parliament before the popular vote, and the “referendum” (in the Swiss sense), requiring 50’000 validated signatures in 100 days to postpone a law voted by Parliament until a popular ballot has confirmed or rejected the law. An optional referendum is when the governement make a new law, and some poeple doesn’t want this laws. For a referendum, it’s only 50 000 validated signatures but in 100 days. A mandatory referendum is when the governement want to make somethings new in the constitution instead of in the laws. Thank you, Philippe – always look forward to reading or hearing what you say. A minor point: it’s the twenty-first century, not the twentieth. Best wishes. I am most intrigued by Mr. Von Parijs’ statement that an individual basic income of CHF 2500 (38% of Switzerland’s GDP per capita) would not be “politically irresponsible”. but that “an unconditional basic income at a lower level (say, 15 or 20% of GDP might be workable. The GDP of Switzerland represents the wealth of the Swiss people, and should they choose to use an even higher percent of their wealth than 38%, and to distribute that wealth among themselves, then that should be possible. A nation prints its own money, and a nation may forgo many expensive things such a military, high salaries for the officers of the government and other unnecessary expenses. If community and quality of life are the measure of any government’s success then the people themselves should determine what they wish to buy, guns and butter, or more freedom. The history of Switzerland is tied, however, not so much to Calvin as to private banking, Banking produces no “product” except great wealth for the few, and that has more to due with the assertion that there is some magic figure out there like 20% which the Bankers might accept. If there were no private bankers in Switzerland instituting policies directed at the mass of the citizenry, would be easy, and the same pertains to any other country. While there is no natural impediment to the Swiss people choosing to distribute half of their income amongst themselves in the form of basic income, and while that would undoubtedly be very good for many people, there are very good economic reasons why that would be a catastrophe in the long run. Even after abolishing the army and private banking – which I would advise against – there would still be a need for a private sector, which requires a room to maneuvre. The proposed level of the Swiss campaign would not have amounted to a catastrophe, but it was high enough to merit concern and raise questions, and I’m glad prof. Van Parijs is pointing them out. If you will please, consider a simple change, to provide a structure for the distribution of a global basic income. I’ve quoted you, and I would appreciate your opinion, about the applicability. I quote this well said piece from Howard Reed and Stewart Lansley – Universal Basic Income: An idea whose time has come? I have been a supporter of a UBI since I published a book on the subject in 2010, before the “U” was added. However, the Swiss amount discussed was way over the top. Key to future success is the limitation of BI to poverty level support, at least on a federal level. There is clearly enough support to pass UBI legislation that would eliminate poverty for all citizens. In the U.S. and Switzerland additional funding could be supplied by States/Cantons or charities, as incubators for various levels which they would have to pay for. Back to the federal level, a poverty level UBI could be 100% funded by reductions in current “safety-net” support: elimination of federal welfare and dollar-for-dollar reductions from unemployment, disability, Medicaid, Medicare, Social Security, and Obamacare. In addition a flat tax would be instituted, and the elimination of tax expenditures would pay for the rest. The effective tax rate would go from negative for those with no income to the flat rate in a smooth curve based solely on gross income. Since monthly distribution would be federal, tax collection would be simplified to the point where employers would file annual tax forms for employees. For more on this, watch: “Fixing the Federal Government” on YouTube. I admire such an idea. However, more works should be done to explain how it will be funded to make it actually acceptable by the majority of the voters concerned. It is no doubt that it is simple and easier to be administrated as it can eliminate all those unproductive administrative works done by those working under the social welfare sector. It requires detailed analysis on the cost of administration and the relief of those human resources wasted by those working under the social welfare sector. As regards the sources of funds needed to finance this initiative, a higher income and company tax, a land tax on real estates might be considered.